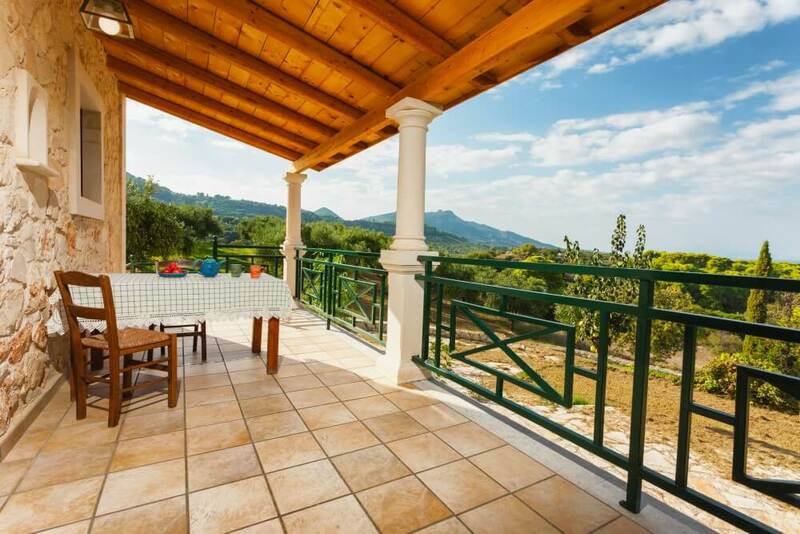 Villa Ampeli is located in the area of Vasilikos, measures 120m² and it has 4 bedrooms, private parking and a big patio. 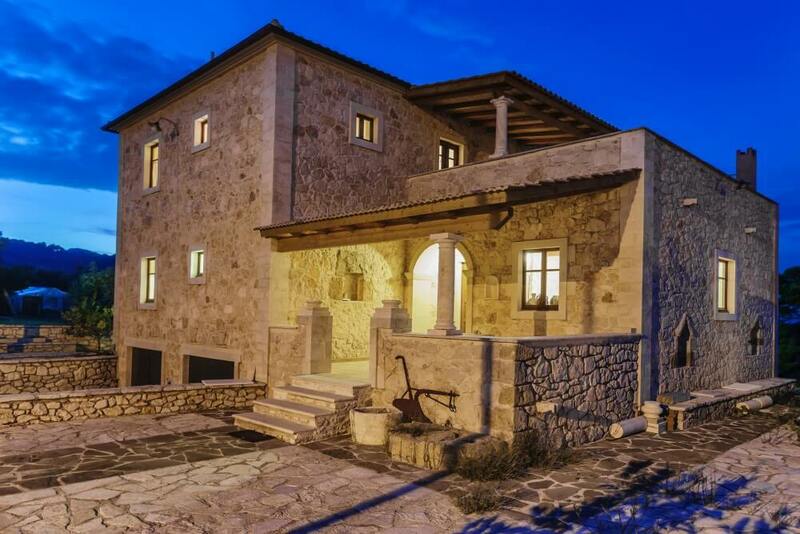 The stone built villa is split in two levels, has two verandas, one in each floor, with outstanding sea and mountain views. 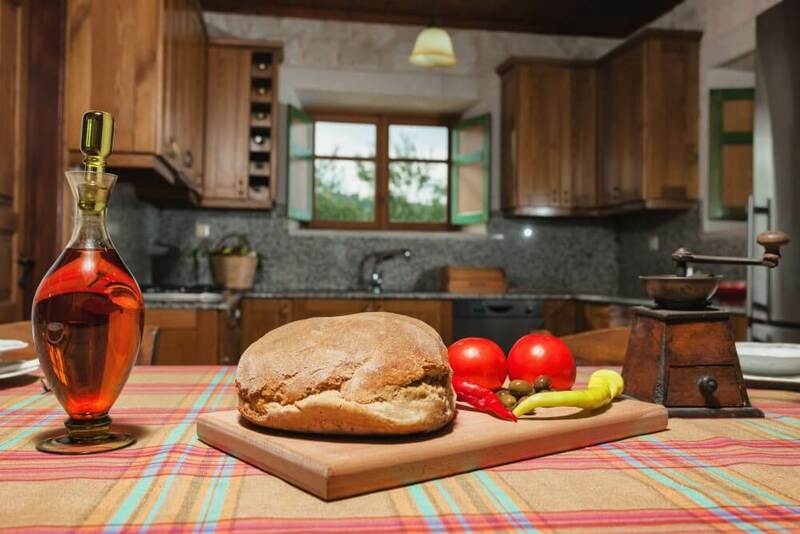 You can enjoy the nature, olive trees and organic farms that surround the house during your relaxing holiday. The stone villa, decorated with classic style, consists of 4 bedrooms, 2 of them with double bed and 2 with semi-double bed. On the ground floor you have the fully equipped kitchen, living room and dining area, one bedroom and the shower bathroom. The living room has a double sofa bed suitable for 2, and a balcony door which leads you to the terrace where you can enjoy your barbecued meals. On the first floor there are 3 bedrooms, the second bathroom with a bathtub and from the corridor upstairs you access the second terrace with the great sea and mountain views. On the first floor all rooms are air-conditioned. 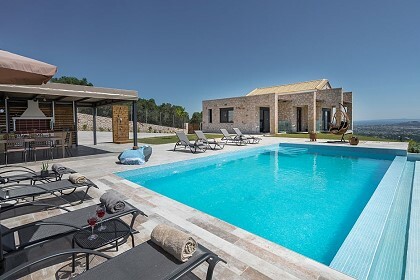 The stone built villa will keep you fresh even during the hottest period of the summer. Barbecue your meals and have a sit on your terrace to enjoy the green surroundings! Villa Ampeli is situated in Vasilikos, the village where the most famous sea-turtle protected beaches are, as well as many others. 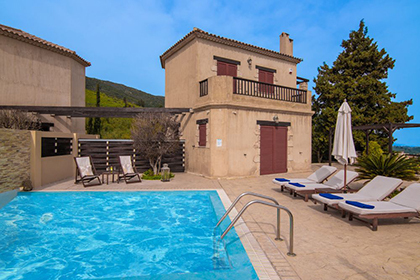 It is 14km far from Zakynthos city centre and 15km from the airport. The house is only 1.5km from Saint Nicolas beach, and in less than 150m you will find mini markets, taverns, restaurants and other shops. Definitely visit Gerakas and Dafni Caretta-Caretta beaches.